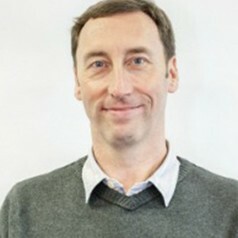 Peter Morey is Professor of English and Postcolonial Studies at the University of East London. Peter specialises in twentieth and twenty-first century writing, in particular colonial and postcolonial literature, culture and theory, and has a special interest in issues of race, nation and diaspora in South Asian writing. His work is particularly concerned with questions of representation and power, and looks at how narrative form – in literature, but also in film and television – reproduces but often also contests prevailing discourses and ideologies. He employs postcolonial and narrative theories, discourse analysis, psychoanalysis and hermeneutics to explore these issues. Peter’s publications have focussed on colonial and postcolonial literature about India and its diaspora, but also analyse similar questions of representation and authenticity in contemporary political and cultural debates about multicultural society. Specifically, the debate around Muslims, and their affiliations in the era of the War on Terror, has been the main focus of his recent work. Peter’s Global Uncertainties Leadership Fellowship is entitled Muslims, Trust and Cultural Dialogue and explores how trust between Muslims and non-Muslims can be built in three different spheres: politics and citizenship; culture and the arts; and business and finance. The project seeks to understand how existing practices within the three spheres enact dialogue and negotiation between groups in ways that can be mutually informative and which help us move beyond misunderstanding and negative stereotyping. It employs a mix of methodological traditions and intersects with public debates about multiculturalism and intercultural dialogue to explore how trust is created and nurtured.